2012 was a magical year. 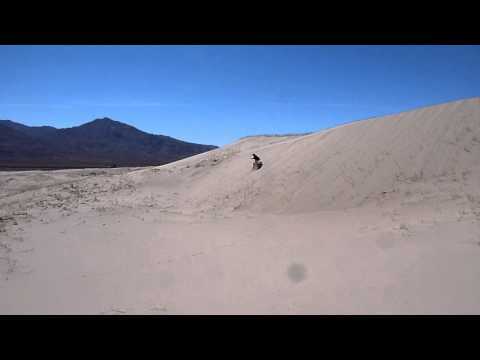 That’s when we explored the beautiful natural lands of the western United States, Canada, and Alaska. We left our Kentucky home in January 2012. We spent 292 days or 9-1/2 months on the road, and ended our trip in Florida in November 2012. We hiked 836 miles and visited 94 parks along the way, including 29 national parks, 24 state parks, and 11 national monuments. You can view a detailed analysis of our trip here. 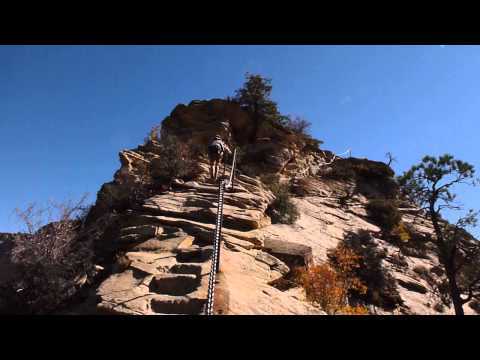 In this video, Theresa is climbing up to the top Angel’s Landing in Zion National Park. Angel’s Landing is a knife-blade of rock that towers 1200 feet above the Virgin River. The last half-mile of the Angel’s Landing Trail is treacherous, with narrow paths and sheer thousand-foot drop-offs. Chains are mounted into the rock to help keep climbers from plunging off the mountain. We were surprised to learn there are prairie dogs in Bryce Canyon National Park in southwestern Utah. 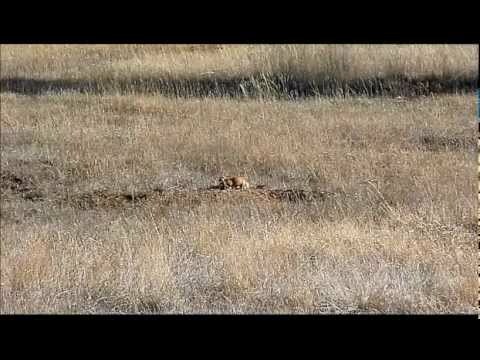 This video shows two prairie dogs playing on a mound, with a slow-motion recap. This moose was enjoying a meal in a pond in Chena River Recreation Area, Alaska. 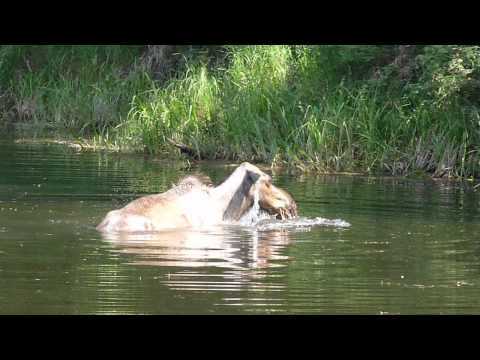 Notice the swarm of mosquitoes that fly off the moose when he dives under water. We drove to the top of the mountain that overlooks Homer, hoping to visit a nature preserve there. But while Homer was basking in warmth and sunshine, the top of the mountain was socked in with a persistent heavy downpour, so we turned back, stopping at the top of the bluff to take a video of Homer from above. 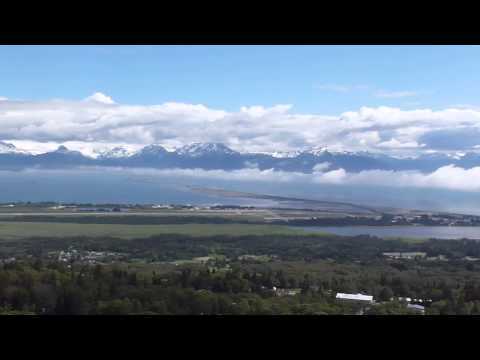 This video starts with one of the many float planes taking off daily over Kachemak Bay. 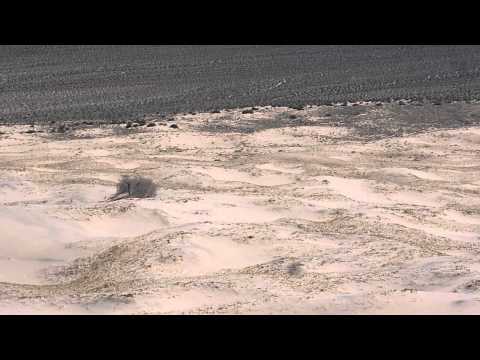 The video pans out and ends with the impressive Grewingk Glacier. We had considered a day hike to the glacier, but the cheapest way to reach the glacier is a $150 water taxi, which also includes the risk of getting stranded overnight on the glacier if bad weather sets in. We decided to pass because we didn’t want to risk the dogs having to stay overnight in our RV without food and water. When I went through the hiking log from our trip to come up with our Top 10 Favorite Hikes, I ended up with a list of nearly 40 trails. Which just goes to show what an amazing adventure we had in 2012! What makes for a favorite hike? The combination of many or all of the following: spectacular views, solitude, quiet, wildlife, wildflowers, heights, and good weather. After much debate, I managed to whittle the list down to the top 10 truly iconic hikes on our trip. Listed below each photo are the location of the trail, total round-trip length, total elevation gain, and the time it took us to complete the hike. This trail is so good that it’s the only trail on our trip that we hiked twice. We found out just how important weather is to enjoying a trail. On our first Crow Pass hike, it was cold, cloudy and rainy. We couldn’t see the hanging Raven Glacier, but we did get to watch a juvenile black bear rummaging around across a divide. Just two days later it was sunny and 70s, so we hiked the trail again. That time we could see the magnificent glacier and the massive valley below. The Chugach Mountains are some of the prettiest in the world, especially in early summer when the foothills are green and the mountains are accented with large patches of snow. Anchor Point is a small community on the southwest side of the Kenai Peninsula in Alaska. It’s famous for its flocks of majestic bald eagles.